Following a complete redesign, the 2019 INFINITI QX50 hit the streets with a beautiful body, an elegant interior, and hordes of power. And, thanks to state-of-the-art technology incorporated into the luxury crossover’s design, the 2019 INFINITI QX50 features innovative, enhanced safety features, premium audio packages and a host of other technological amenities certain to make every driving experience sharper and more fun. The 2019 INFINITI QX50 from Bob Moore INFINITI comes in Pure, Luxe and Essential trims. As such, technology features and packages vary. To help you best equip and customize your 2019 INFINITI QX50, visit your car dealership Oklahoma City today. To help inspire you with all the 2019 INFINITI QX50 has to offer, we’ve highlighted a few things to consider, all of which will offer convenience and inspire confidence. Regardless of the trim you choose on the 2019 INFINITI QX50, a massive amount of technology comes standard, making it easy for you to stay connected to the outside world and in better control of your luxury crossover. While there is certainly no replacement for sharp and attentive drivers, these technology features are designed to complement and enhance your driving experience. Dual-Zone Climate Control will put an end to all that back-and-forth bickering about who’s too hot or too cold. Also available is Tri-Zone Control, so that even your rear-seat passengers can customize the climate to their pleasure. When it comes to technology on the 2019 INFINITI QX50, there is a world of availability and information. To customize your new luxury crossover, visit INFINITI Oklahoma City today. While technology in the 2019 INFINITI QX50 does everything from keep you rocking to your favorite music to simplifying the overall driving experience, technology also makes that driving experience a lot safer. A number of advanced security features, courtesy of advanced technology, come either standard or optional on the 2019 INFINITI QX50 and are designed to help you on every journey. Available ProPILOT Assist, which makes its INFINITI debut with the 2019 QX50, is a mixture of adaptive cruise control and steering-assist systems designed to help keep the vehicle in its rightful lane. The 2019 INFINITI QX50 offers many more safety features via advanced technology, like the ProAssist and ProActive packages. There is also the Around View® Monitor, which utilizes 4 strategically-placed cameras around the vehicle to provide a birds-eye view of your surroundings. To learn more about how technology enhances the safety experience of you and your passengers, visit INFINITI Oklahoma City today. With its complete redesign, remarkable beauty and advanced technology features, the 2019 INFINITI QX50 maintains the ultimate respect, trust, and reliability from more drivers choosing the luxury crossover. For a driving experience that delivers it all, experience the 2019 INFINITI QX50 at Bob Moore INFINITI. 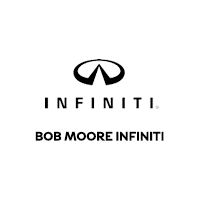 Visit Bob Moore INFINITI today to either test-drive the new 2019 INFINITI QX50 or simply learn more about it. In addition to our impressive collection of new vehicles, we also feature an extensive list of pre-owned cars. There is an ideal ride for you. We will also work with you on financing options to find a plan that works with every budget. Time for that regularly-scheduled tune-up? Need repair work? At Bob Moore INFINITI, our parts and service department is fully staffed by certified and friendly professionals dedicated to getting you back out on the road soon and safely. At Bob Moore INFINITI, we understand that buying a new or pre-owned vehicle is among life’s bigger decisions, which is precisely why we offer nothing but stress-free engagements with a friendly and professional team. We bring you a lot, but one thing you will never get with Bob Moore INFINITI is pressure. Our fleet of new and pre-owned vehicles are convincing enough.